The room for rent is a large Master Bedroom, is air-conditioned, has a fan, TV and Computer connections, your own private ensuite and walk-in-robe. It is fully furnished with queen bed, bedside table, drawers, 2 lounge chairs, desk, chair and lamp. You have full access to a fully equipped kitchen and laundry. 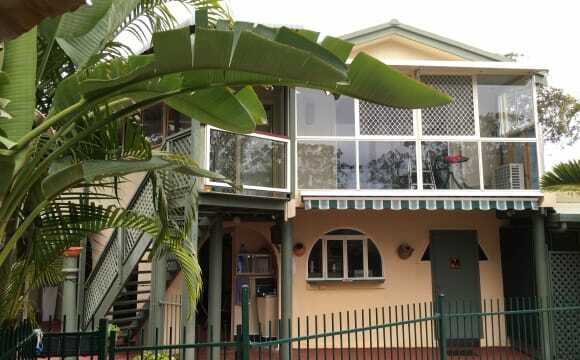 Located close to Griffith Uni, Logan Hospital, Woolworths and shops. Short drive to Hyperdome. Excellent transport, 20 mins to city, 40 mins to Gold Coast. 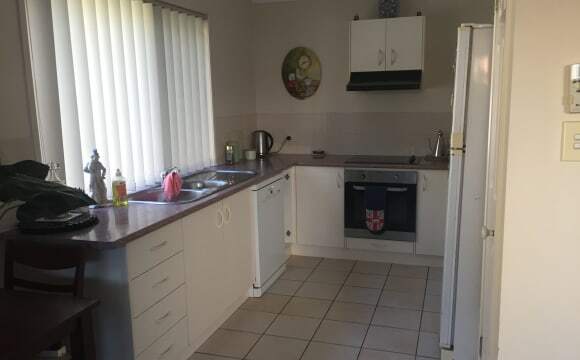 **** 1 week rent free **** Affordable, Secure, SHARE ACCOMMODATION only 5 mins walk from Griffith Uni Logan Campus, close to Logan Hospital and TAFE. Bus stop right out the front and Loganlea Rail Station nearby. New Woolworth's Supermarket and shops close by. Fully furnished apartments (Kitchen / Lounge / Laundry) with your own private Bedroom and Bathroom. Residents share with up to 3 other house mates. 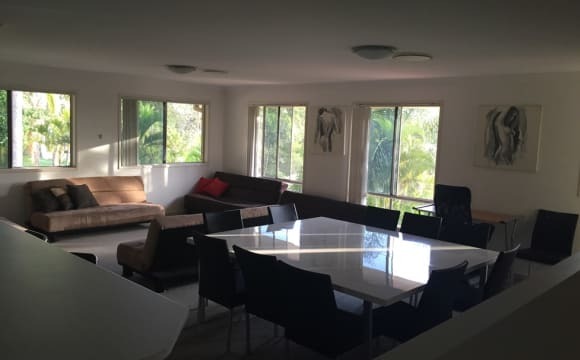 $190includes Electricity, Water usage, unlimited internet each month, fortnightly Cleaning Assist and use of all facilities .... Swimming Pool, Tennis, Gym, Sauna, BBQ. Secure gated complex with experienced on-site managers. Ideal for Students and Singles. Close to buses, trains and local shops. 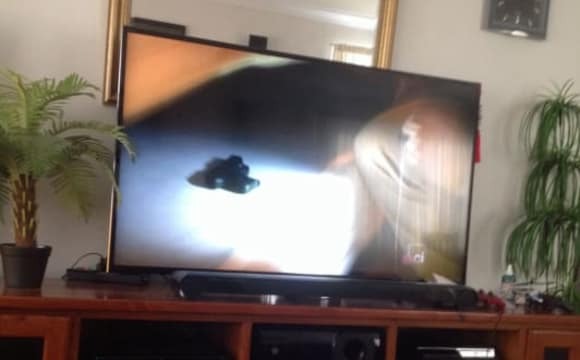 This property would be shared with myself and my Chinese Crested dog and well behaved cat, we are open to suitable pets.. There is plenty of room to make yourself at home and have space with a table and bench seats amongst the front garden, an open hut at the back with astro turf and outdoor beanbags, back patio with outdoor lounge and tv and bbq as well as lounge room. You would have your own unfurnished room with a single cupboard built in. Also can utilise spare room cupboard. Shared bathroom but plenty of space as well as spare cupboard space in laundry and hallway. The kitchen has a massive pantry and fridge/freezer as well as a fridge/freezer in garage for drinks etc and bulk meals.. Ceiling fans in all rooms plus windows are tinted for privacy and temperature control. 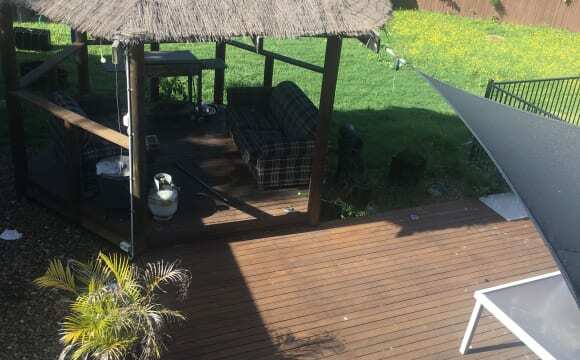 Under cover clothesline as well as full size outside clothesline. Garage has a gym and a bike rack and if hailing the car can be parked in tandem undercover otherwise in driveway. Bills will include electricity/water/internet/netflix. After a tidy and considerate person who tidies after themselves. 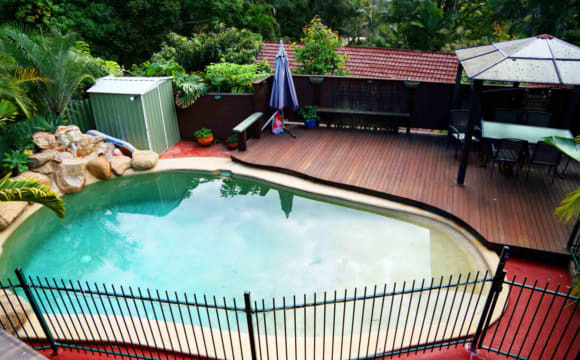 This is a well established security oriented family home, with a pool and sun deck and roomy back garden area. The property is located on a hill in the Tanah Merah/Loganholme area, in a quiet cul-d-sac, with ample and safe on street parking. 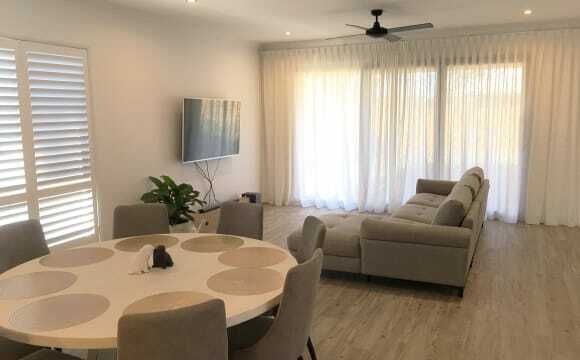 UNFURNISHED GRANNY FLAT ACCOMMODATION TO RENT - TANAH MERAH The unfurnished private granny flat accommodation comprises a roomy upstairs Granny Flat, with two/three bedrooms, (or one x TV/office/sitting room). All bedrooms are carpeted with their own built-in wardrobes, ceiling fans and vanity units. (no air conditioners). 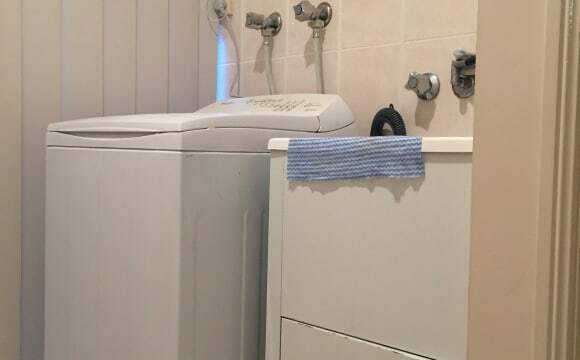 There is a large open plan combined dining/kitchen (alfresco area), (with pleasant bush outlook), separate shower/toilet bathroom, and a separate downstairs laundry area, (shared with owners); Own washing machine would be required (no clothes driers). The upstairs unit has its own private front and back security doors entrances, attached to the owner’s main dwelling. There's access to a private fully fenced rear garden, with covered back landing, leading to back garden, shared downstairs laundry and swimming pool and deck areas. 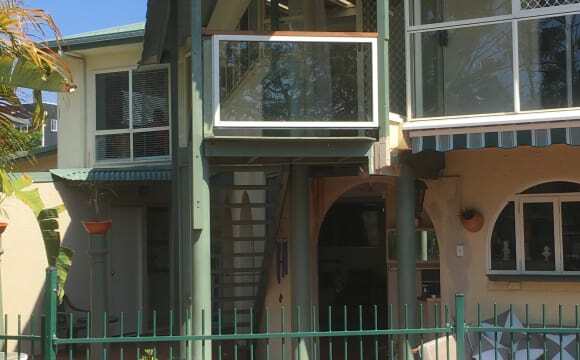 The property is located in a quiet cul-d-sac, not far from transport and the Logan Hyperdome Shopping Centre. The accommodation is suitable for a maximum of two persons, couple or 2 friends sharing, students accepted with their own furniture. It is not suitable for young children, (swimming pool), pets (animals already on property), and preferably non-smokers. There is one covered driveway car space available, with ample other on street cul-d-sac parking at the front of the property. References would be required, and a long term minimum rental/tenancy (6-12 months) would be preferred, together with payment of security monies $1,000 and weekly rent via bank transfer, (initially paid two weeks in advance). Weekly rent of $350.00 (which can be negotiable for a single person). Rent includes all reasonable power and water usage bills. Rent does not include WiFi, telephone or internet usage. The owners would be happy to discuss the accommodation with any prospective boarders/tenants and arrange an inspection of the accommodation. Personal telephone callers are always preferred to receiving email ping pong enquiries. N.B. Owners would consider negotiating with any genuine applicant (but in person only), any sensible rent reduction offer (E.g. for a single person). 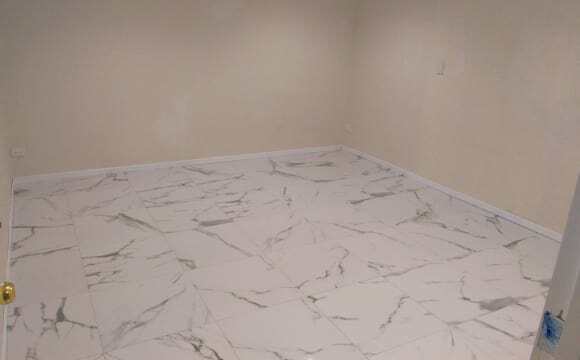 Private room with fan, close to Logan hospital, public transport. No smoking inside. pay rent on time every time. Comfortable home, with private front and back yard to get some sunshine and nature. Close to public transport. Full security screens. The room can either be furnished or unfurnished and comes with off street parking. The photo is with a single bed but it can fit a queen size bed. The place has recently been renovated. I live upstairs and there is a lady living downstairs, whom you would be sharing with. Upstairs and downstairs are totally separate. So you would be sharing a bathroom, kitchen and lounge with only one other person. There are no internal stairs and each floor has it’s own separate doors and keys. Your bedroom even has a lockable door with a key. 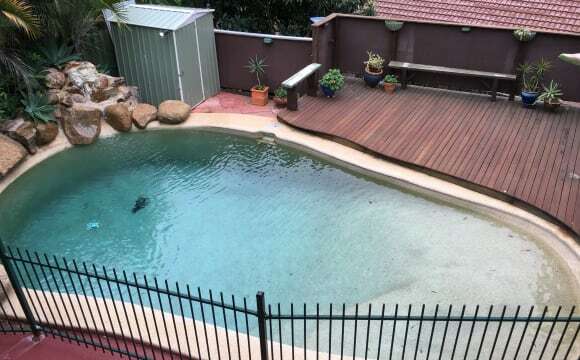 The property also has a pool, and will have use of a driveway for offstreet parking. Absolutely NO pets and NO smokers please. 4 weeks bond. Bills included. Do you like being close to everything but having room to move. This house is on an acre of land so if you love gardening or being outside you may have found your house share on acreage. 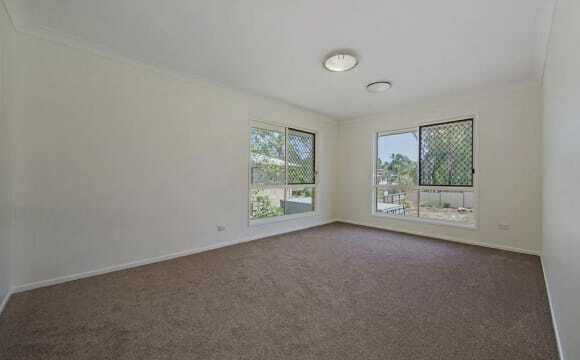 Walking distance to shops and transport. The rooms have just been finished and have beautiful bamboo flooring for those with allergies. Arial's, built in wardrobes and fans are in the room. In total there will be 3 people in the 3 bed house. We already have one very tidy lady over 50 in one of the rooms. We aren't a party house, we are respectful of each other, keep the place tidy and just chug along. We all chip in and help in the yard. 4 weeks in advance Includes electricity, water and internet Pets by application. Text me for more info or give me a call. Very large house. Plenty of bathrooms and kitchen space. Shed for storage and a great security system. I’m easy going and at work quite a lot. Several of the bedrooms have en-suites. Netflix and internet will come with the price. Also aircon in rooms.